Tom concentrates his practice on commercial real estate and related transactional matters. His broad-based real estate practice has given him in-depth knowledge relative to a wide range of real estate related transactions, with a particular emphasis on representation of commercial developers and publicly traded real estate investment trusts (REITs). Tom has extensive experience in the negotiation of multi-property, multi-state master leases, as well as many other types of leases, and the representation of sellers and purchasers of commercial property. 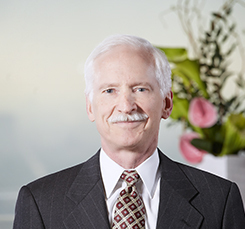 Tom’s practice also includes significant experience with tax-deferred exchanges and the representation of real estate lenders.